Sherri Ybarra is a career educator and accomplished student. And that’s about all she likes to reveal publicly. The Republican candidate for state superintendent of public instruction prefers to keep her personal life out the papers and keep the questions and answers focused on Idaho education. “I’d rather not say,” Ybarra said repeatedly during a recent interview at a Mountain Home coffee shop. She denied a request to be interviewed at her home or her Mountain Home School District office. She’s not a politician. Nor is she a name-dropper — she wouldn’t reveal the name of her campaign manager or treasurer, even though the latter position is public record. She won’t share a list of endorsements or supporters. “I’m guilty of not being a polished politician,” she said. But she stands at center stage running for one of Idaho’s most high-profile positions — leader of public education. Other than the governor, no other elected office has received more critique, criticism or scrutiny over the last five years than the one that oversees nearly half of the state budget and orchestrates education in Idaho. “I’m very student-centered,” Ybarra said. “I tell people I’m running for three reasons: Kids. Kids. Kids. Ybarra married a military man and moved all over the country before landing in Mountain Home in 1996. She fell in love with the area and considers Idaho her home. “Our roots are here. We aren’t going anywhere,” she said. Sherri Ybarra poses with her son and husband. This photo is on her website. Ybarra would not share the name of her husband, though a family photo is on her website. She did say their teenage son attends public schools in Mountain Home. They are highly involved in their son’s baseball team — dad coaches — and the trio bowls every Sunday. “It’s dollar day,” Ybarra said. Besides her family, Ybarra’s passion is furthering her education. She loves research. “I’ve been a part-time student for 20 years,” she said. Ybarra earned her bachelor’s degree in elementary education, and a master’s in educational leadership. She also has an education specialist degree with an emphasis in superintendency. She expects to receive her doctorate this summer. Ybarra says she’s a positive person and she expects a lot out of her employees. She’s not a politician, but her jump into politics didn’t surprise her friends and family. She responded by registering as a Republican in Elmore County on Feb. 5 and announcing her candidacy a few days later. “This job is less about politics and more about education,” Ybarra said. Ybarra’s work history is concentrated in one district. She was a classroom teacher for 11 years, then vice principal and principal at West Elementary School. This is her first year working in the district office as federal programs director and curriculum director. She has never been a district superintendent and Mountain Home Superintendent Tim McMurtrey has an assistant, James Gilbert. She was named Mountain Home’s educator of the year twice and helped turn West Elementary into a four-star school under Idaho’s five-star rating system. She said she would be interested in leading a district, but chose to enter the race for state superintendent. 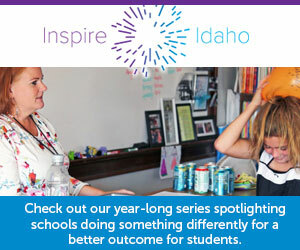 How would Ybarra lead Idaho education? She said she favors school choice “if that’s what best for students,” and she wants the money to flow into K-12 education before adding on pre-kindergarten programs. She supports Idaho Core Standards but is unsure about the tests aligned to the standards. She said she would work well with the public and all stakeholders and maintain an open line of communication. She said she’s talked to many people on the campaign trail, including politicians and education leaders, but she doesn’t name her connections. Mountain Home parent Olga Vega agrees and was impressed by Ybarra’s leadership at West Elementary. Vega’s child has special needs and she said Ybarra did everything she could to help the child succeed by attending meetings, reviewing tests and responding quickly. “I get extremely attached to the students and that’s what drives me,” Ybarra said. All of our stories on the superintendent’s race: click here. Ybarra’s answers to questions from our followers: click here. Coverage from last week’s KIVI TV candidate debate: click here. Coverage from Monday’s City Club of Boise forum: click here. The Republican state superintendent’s candidate says she will have ample opportunities to reach out to education stakeholders. She also touted a list of endorsements from 10 GOP legislators. The GOP candidate for state superintendent declined to meet with education leaders at the annual event to instead attend Thursday’s meeting hosted by the State Department, she said in a press release Wednesday. Democratic state superintendent’s candidate Jana Jones begins the general election with about $20,000 in hand — eclipsing Republican Sherri Ybarra’s meager $293 campaign balance. The surprise Republican nominee for state schools superintendent begins the general election with $293.87 in her campaign war chest. How did Sherri Ybarra pull off the upset? Republicans selected an educator who raised very little money and did little campaigning — but managed to win a four-way campaign.